Longhorn beef patty ‘steaks’ then get covered in a dairy-free (and deliciously bold in umami flavors!) mushroom gravy. 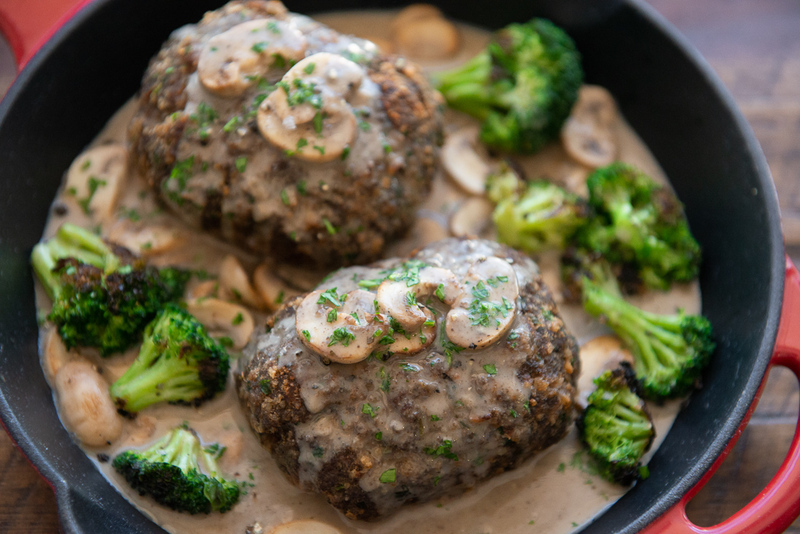 Finished with a side of broccoli to keep our promise that this dish is a cleaner, leaner, and more gourmet version of traditional salisbury steak. 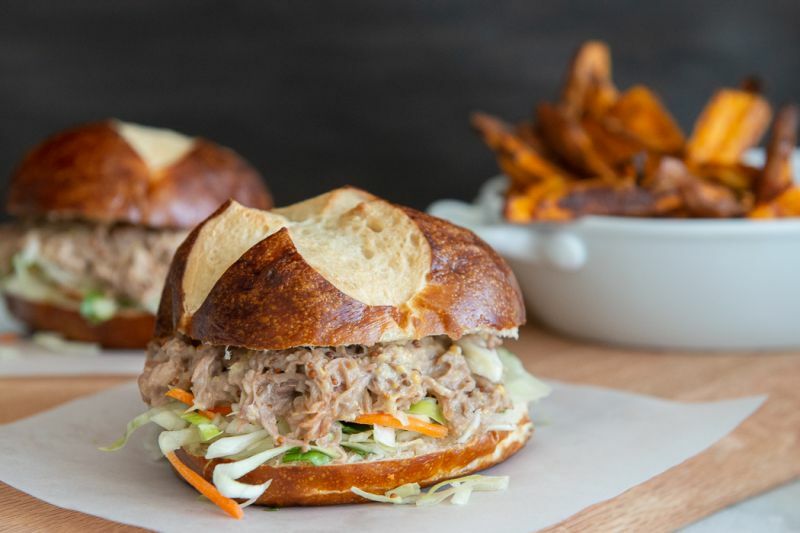 Chef-prepared pulled pork is tossed in our house-made BBQ sauce and piled high on a pretzel bun with carrot & kohlrabi slaw and a side of sweet potato fries. For a classic, quick, and crowd-pleasing weeknight meal, this is your winning dish. 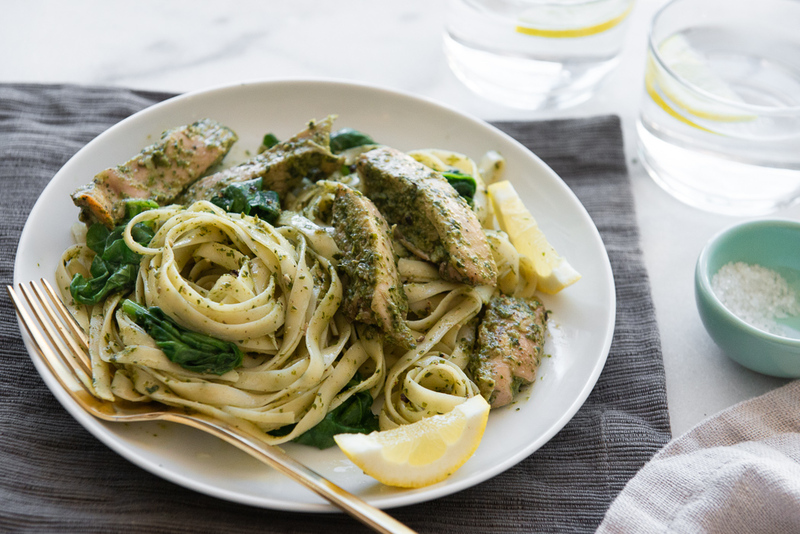 Fettuccine noodles are wrapped in pesto with roasted chicken thighs and sauteed greens. A salad of mixed greens, apples, and apple dijon vinaigrette is served on the side. 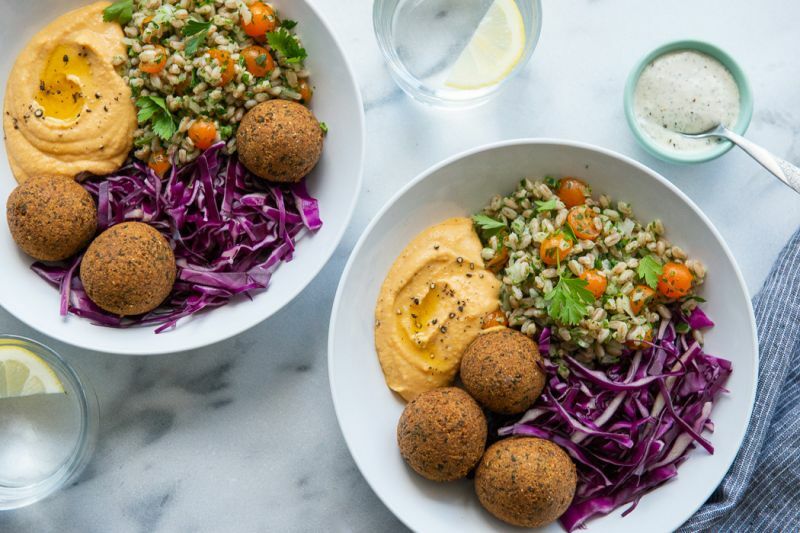 Not just any Mediterranean bowl – we’ve brought fresh perspective to some old favorites: carrot hummus; brown rice tabouli with tomatoes, parsley, and za’atar; black eyed pea falafel with pecans and garlic; cabbage salad with mint; and of course a lemony yogurt dressing to top.